Investors typically think about purchasing condo buildings. In those megacities, yields are becoming lower because property appreciated so much over the last three or four years. Compared with other megacities like Hong Kong or London, Tokyo is much cheaper. For example, compared with Toronto, Tokyo is just in the middle bubble. A regular house in a Toronto residential area costs something like one million dollars, which is extreme. UBS says it’s definitely a bubble. So compared with Toronto, Sydney, London and Hong Kong, Tokyo is still much cheaper. As a measure of how overvalued a market is, Toronto’s bubble index is something like 2.0, while Tokyo is something like 0.7 or 0.8. Below one is still cheap. You can see the range and results from the UBS bubble index below in Figure 2.1. If you look at this report, although things are going lower in Tokyo, Tokyo still has the upside. 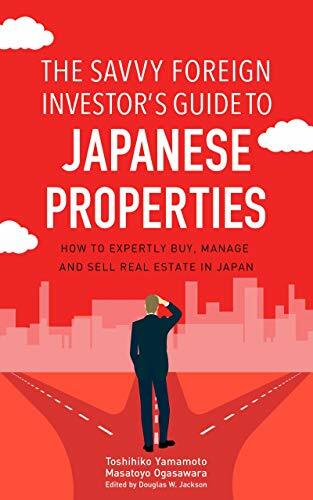 But you have to be very careful, because globally real estate industries are definitely on the high side, and if market sentiment changes or interest rates go up, those properties will definitely go down. UBS said similar things last year. Some of the prestigious properties are only generating a 5 percent yield, which doesn’t make sense economically. It might be that those in business are looking at capital gains and not income.